Children have begun using smartphones, tablets, computers and the internet at a very early age and it is impossible for any good parent to have complete control over protecting their kids when they are online or away from your presence. With predators and dangers lurking both online and in the real world, monitoring software can provide parents the help, support and easy oversight of their family, no matter where they are. 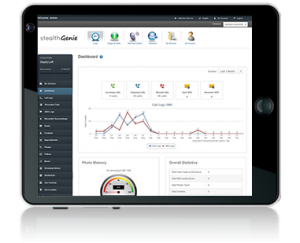 Below I cover the main aspects of using monitoring software to protect your children, but you may also choose to jump to my best cell phone parental control apps guide instead. Mobile tracking services provide a way to have full time supervising on a wide range of applications with helpful alerts to keep you updated at all times. It’s like having a digital bodyguard helping you keep your family safe in ways that would be otherwise not possible. 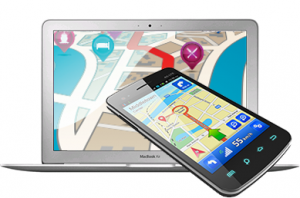 Live GPS map location tracking as well as historic traveled paths. Detailed logs of phone calls made and received. Blocking calls and texts for specific or unknown numbers. Full access to text messages, including email, and instant messengers such as iMessage, Facebook Messenger, BBM, WhatsApp, Skype and more. Access to social medial profiles, such as Facebook, Instagram, Twitter and more. View all pictures and videos saved or taken on the device. Access to contact list, address book and calendars. Geo-Fencing Alerts: Get notified if your child leaves a certain designated geographical perimeter you pre-set to your needs. You will now if you kid has gone somewhere he should not be, or if he made it home from school, quickly alarming you if something is out of place with his regular trajectory. This will both help monitor that your child is not skipping school but also help protect him/her from external dangers. Tracking their whereabouts both live and historically is an indispensable capability that parents should take advantage of. 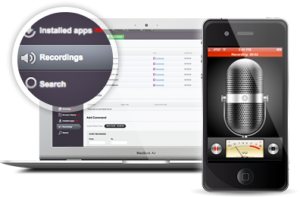 Remotely Listen In & Use Camera: Advanced services often include the option to activate the microphone of the cell phone and listen in from anywhere. The same function for cameras is offered as either stealth snapshots or live video feed. These capabilities are especially useful in the risk that your child has been abducted, allowing you to not only track location, but hear and see your child’s surroundings. Bugging the device was once a power that was out of reach, but now all parents can take advantage of having full control of the cellphone. Key Word Alerts: Set a list of words that will send you a notification if used in text messages, emails, web search history, sites and such. References to any concerning discussions can be immediately sent for you to review. This can help ensure your child is not browsing on adult websites or worse, minors getting invited or participating in dangerous, or illegal activities. If your child or other minors speak of references to alcohol or drugs, you can be instantly notified, therefore only overseeing their privacy when required. Restrict Usage & Remote Control: Besides basic parental controls and filters for blocking apps & websites, various alerts regarding location, keywords, or blocked number calls, parents can also designate certain usage hours for each device, disabling all user-side functions at certain hours or even remotely lock the phone at any time. This helps you proactively stop your kids from being on their phones or tablets at night or when they should be studying, while still allowing them to call you or emergency 9-1-1, while still keeping all your monitoring functions activated. Needless to say, these tools are very powerful and can help deal with a multitude of situations and dangers, effectively and proactively reducing various problems that parents often feel challenged with, otherwise. Yes, although you have many service brands to pick from, we have tested and reviewed every brand to bring you a quick overview of all the best ones available such as; mSpy’s parental focused service, and Mobistealth’s cell phone monitoring solution. The first step is to pick a service that matches your needs in terms of features and compatibility with your mobile device, such as an iPhone, Android, and BlackBerry. Tablets are now often supported as well, and some services offer advanced computer monitoring as well. Setting up and starting to use the application is not very difficult, and can be done by users and parents with little technological know-how, as long as you have installed an app or used a smartphone before, should be no problem as vendors offer very easy step-by-step directions. However, I do invite you to learn more on this lenghty, but completely detailed cellphone tracking guide. Step 1 – Sign-up to a Service of Your Choice: Once you have picked the company that offers all the compatible tools and features you want, simply signup for the package and create your account and password. Step 2 – Installing the App: You need to have temporary control of the cell phone or targeted device your child uses for a few quick minutes. Simply download the app from the vendor’s provided link and it will install itself and disappear, leaving no trace of any tracking service running in the background. Step 3 – Login to Web Panel: All monitoring software programs work in a very similar way. Once the app is installed, it is controlled and accessed from anywhere you want, using the vendor’s online control web panel that displays all your functions, logs and remote controls. You can often set email notifications for various things but the main panel is where it all happens, allowing you to use it from anywhere with internet. 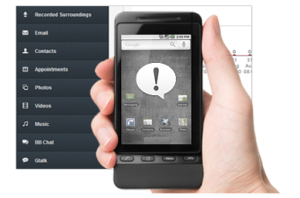 Mobile cell phone spy applications operate in complete stealth. They are not seen or detected by anyone that gains access to the device. But, that is not the case for all services. Due to some sanctions, some services no longer operate in stealth, and continuously notify the user of the device that they are being monitored. Mobile Spy now sends these notifications, and so does their sister company PhoneSheriff, which was a favorite with parents. If the device is stolen, it can be used to track down the thief, or wipe out all data to protect your personal files and information. The device needs to be connected to a data plan or Wi-Fi in order to be able to log, report and track back to the online panel. If the device is turned off, or does not have internet access, the app will not work. We hope this article has clarified and broadened your understanding of monitoring software and what it can do for you. Having a set of eyes working for you 24/7 is an indispensable tool that has become more of a need lately than ever. With this vast online world our children immerse themselves in, there is no other way to really know what they are being exposed to. These solutions can allow you to stress less and sleep better, knowing a watchful guard is with them at all times. Hi, my daughter finished school thinks she is grown now, goes out a lot and was a victim of a pick pocket,she always has her phone with her, its got passwords and codes….